A bench can be a lovely piece of furniture, gracing the foot of the bed. It can also be comfortable seating on a patio or deck, made all the more comfy with thick cushions for lazy afternoons. Bench plans are easily customizable and provide clear, easy-to-follow instructions that make this a great weekend project. There are even plans to build a cedar storage bench, with ample space for out of season bedding. Choose wood that harmonizes with your project. 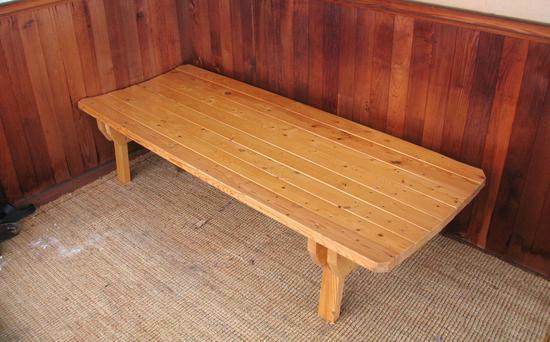 Use teak or redwood to create a long-lasting outdoor bench, or beautiful hardwood to complement your indoor furniture style. 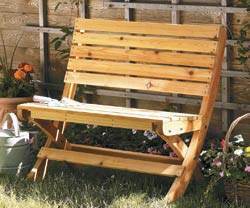 Bench plans are available in a variety of skill levels, from an easy-to-do basic seat to a stylish paneled chest-shaped bench. Use one of these plans to enhance your skills and add stylish, moveable seating to your home. These bench plans are for a wide outdoor bench built with eight 6 ft long 2 x 4's and doubles has a cot for napping. 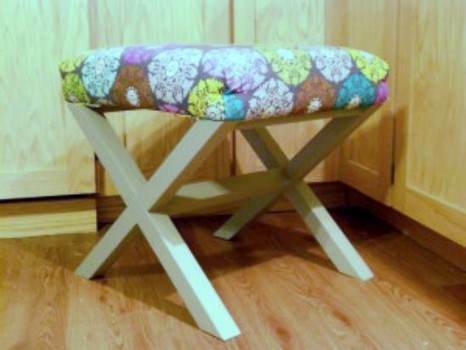 You can inexpensively build this little bench is a single day using this woodworking plan. 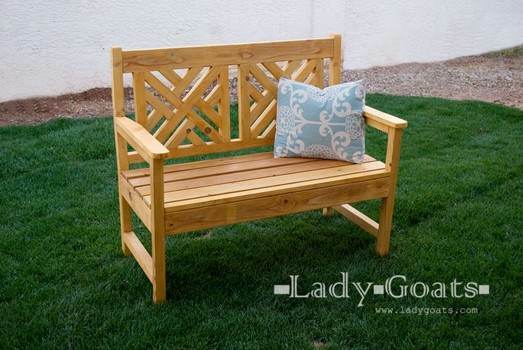 Build this simple little outdoor bench using wooden slats, a few pieces of hardware and this plan. 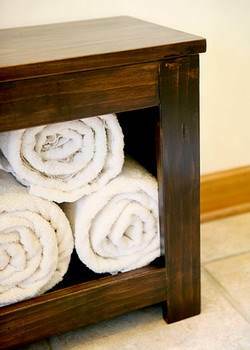 This plan lets you use the wood of your choice for building an elegant spa bench that has an area below for storing towels. 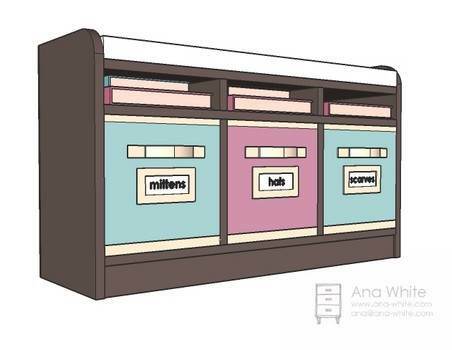 This storage bench measures eight feet long, has 3 large and 3 small storage compartments and is easy to build. This attractive bench for two has a back-rest designed to look like woven wood. Build one using this step by step project.